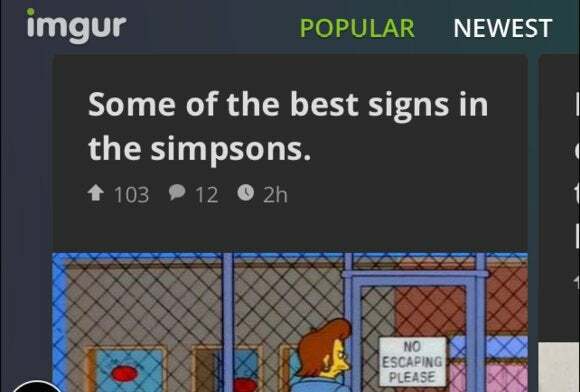 Imgur, every Redditor’s favorite viral image site, recently released its second attempt at an iOS app after producing—and then pulling—its first shot at iOS several years ago. The new app is currently an iPhone-only affair that focuses on browsing the site’s image collection. Noticeably absent are any tools to upload images to the site, at least for now. The new app doesn’t look anything like the original, which attempted to mimic the grid format of Imgur’s PC site—a format the Android app still holds to. Instead of a grid, you'll see a single image and swipe from right to left to view more. To read the comments you have to scroll down underneath the picture. 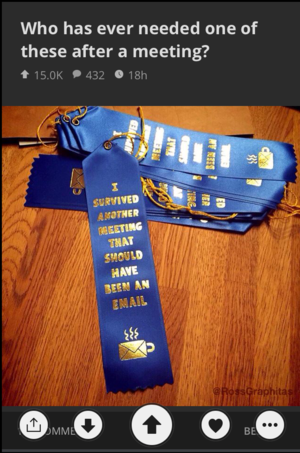 When you first open Imgur, the app presents you with the “most viral” images, and there are also categories for the latest user submissions and random images. To go beyond browsing, double-tap on an image and a variety of action icons appear at the bottom of the screen for sharing images with other apps, up- or down-voting, and marking items as favorites. You'll also see the option to download images. The impact on you at home: For iPhone-wielding Imgur fans, the new app will be a welcome addition to the App Store catalog. The app doesn’t yet offer the ability to upload your own images but Imgur founder and CEO Alan Schaaf told The Verge that feature would be coming soon, along with a similar refresh for the Android app. The new app is also iPhone-only, meaning you’ll have to settle for bumped up magnification on the iPad for now.